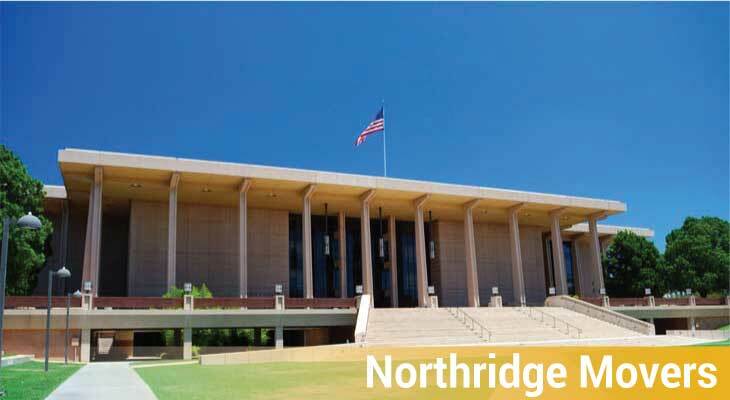 For families and businesses in search of a Northridge Moving Company, you’ve found the best! Our company would be happy to help you throughout your move and make sure that the long distance moving process is simple. Whether you are moving closer to Northridge University, or leaving to another area of Los Angeles, we’ll help with everything from packing to unpacking, so that you don’t have to scramble looking through local moving companies. 100% Client satisfaction can be traced on our multiple online reviews on Yelp and Google Local. We want you to get the best experience possible, so give us a call today and let us help you! This is a question that too many people don’t know the answer to. Whether you are looking at local moving companies or you are interested in long distance moving, you should be making sure that you aren’t at risk of liability. If your movers do not have insurance, you could end up paying for a lot more than just basic moving services. Uninsured companies will simply walk away if they cause any significant damage to your items or a household. Did you know that the state of California has insurance minimums that each moving company is supposed to meet? And if your moving company doesn’t have insurance, that you’ll be paying out of pocket for damages and injuries? Well, that’s the case, and we see it all too often. Don’t put yourself in that position. Let us help, as we have several different insurance packages for you to choose from, all above state minimums. Moving at the right speed is critical to making sure that your move is a comfortable one. Many long distance moving companies, and even some local moving companies, will rush customers through the process so that they can move on to the next customer. We’re not like that at all. We treat all of your valuables with respect throughout the entire process, from packing to unpacking. You can feel comfortable knowing that we are going to move at the pace that is best for you and your needs. Contact our Northridge Moving Company today and learn more about our style. Our ultimate goal is to make your choice an easy one. You shouldn’t have to rush packing, and you shouldn’t have to look hard to find a long distance moving company or even local moving companies. We’re here to provide our Northridge movers to make your life that much easier. We can’t wait to get started on your move so we can make things that much easier for you!